The online communication platform has recently announced that the service has upgraded its Android application to its 6.11 version for saving Skype video calls. The development delivers a series of new options that improve the entire client experience, and some of the more significant enhancements are the features that allow saving all video messages transmitted via Skype. Microsoft’s Internet communication system created the new part of the Android application in a very easy and simple to use manner that can be learned extremely quickly, even by people who are not yet familiarized with Skype. In fact, customers can just press on all received video calls and then keep them in the unit’s picture gallery. In many cases, the most valuable remembrances are the usual daily conversations that enrich our life. 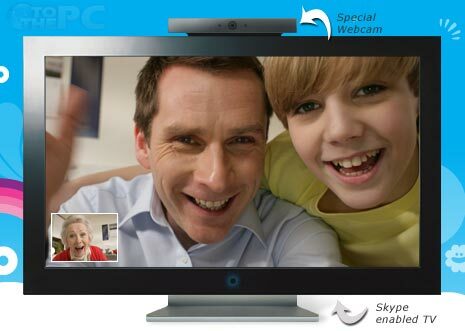 Skype wants to help its users to come together in order to discuss and share their experienced from wherever they live. For them, it has released the 6.11 version for the Android platform that delivers additional functions, which will help people to store their chats in a safe place, according to the company. Besides the aforementioned new options, the upgrade will let customers handle all discussions in a much simpler fashion. For instance, by long hitting on a personal contact or chat from Skype’s Recent menu list, a plug-in selection will appear and there are all the choices available to mark, mute and remove notifications. Along the video messages, Skype customers can now post images within a discussion, straight from the unit’s image gallery. However, if a photo is not enough for the user, the improved Moji menu is now available via a quick tap, too. Finally, the new edition of Skype on the Android OS also delivers improved searching options and people will not just search for contacts and other users’ names, but also certain words in an online conversation. Recent Skype customers can obtain the application for free directly from the Google Play Store, with the dimension and the appropriate app edition differing based on the gadget on which it runs. However, the Android products operating on newer operating systems will probably be able run the recent Skype app.